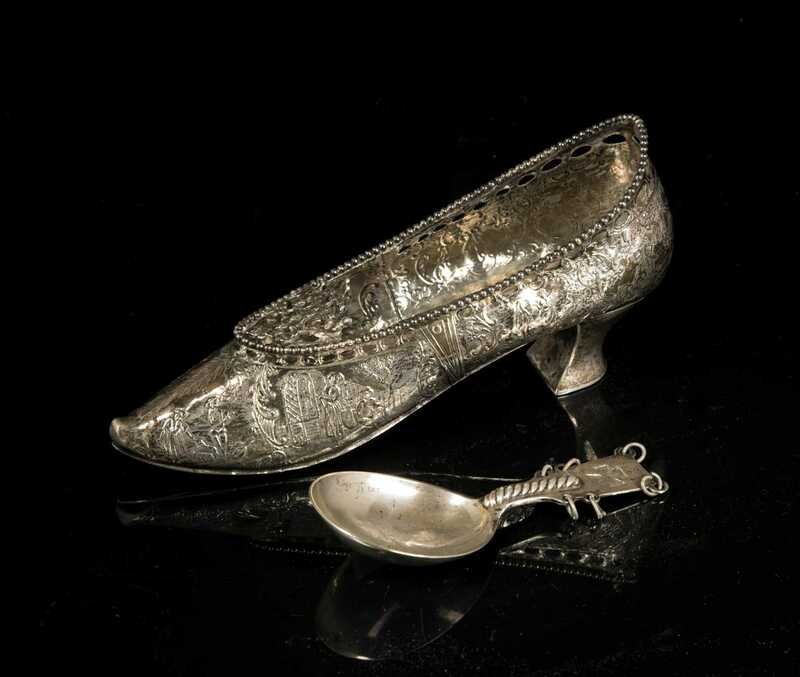 Continental Style Silver Women's Shoe and Spoon, A) 8 1/2" long heeled shoe engraving 18thC scenes all around it having a finely crafted shoe buckle, silver mark on the bottom is a right handed rampant lion in a triangle #2 for 900 silver. Appears to be E19thC, good condition. 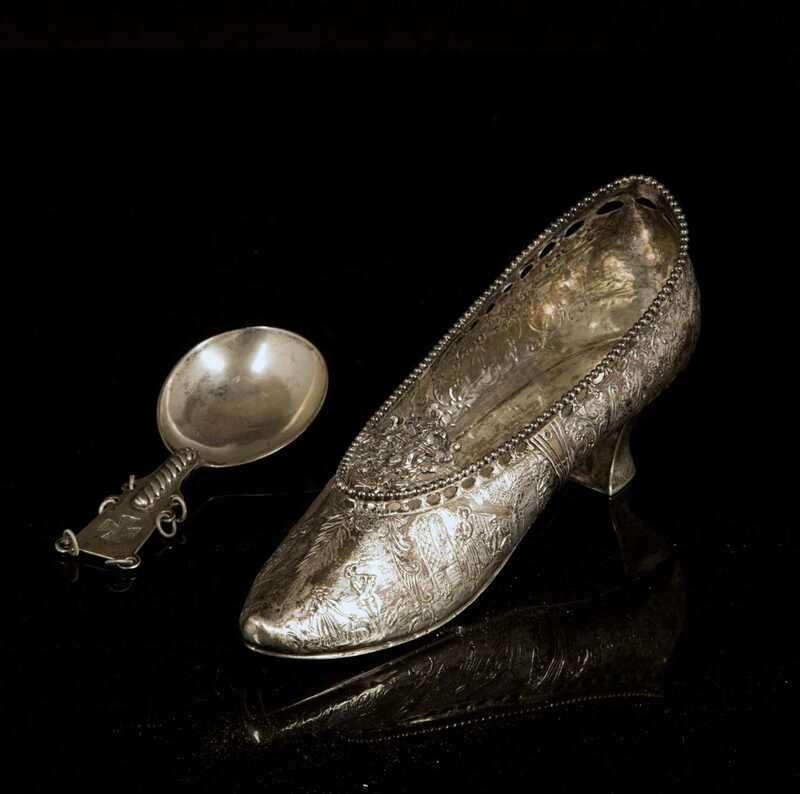 B)5" long ceremonial spoon with cross in the top and an inscription on the back, "DAS 1617". Total weight 8.6 troy ounces.